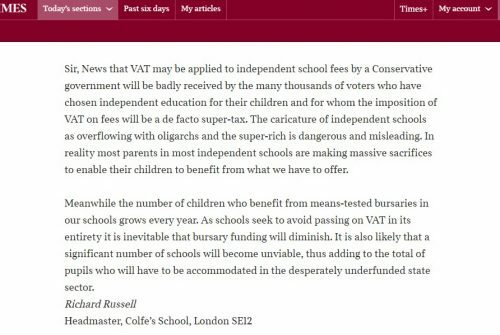 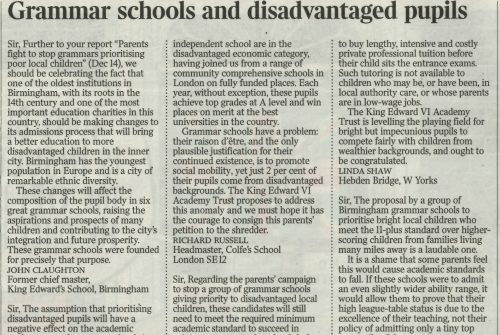 Press: Headmaster Richard Russell on 'the 'folly' of imposing VAT on independent schools' and the impact it would have on bursaries. 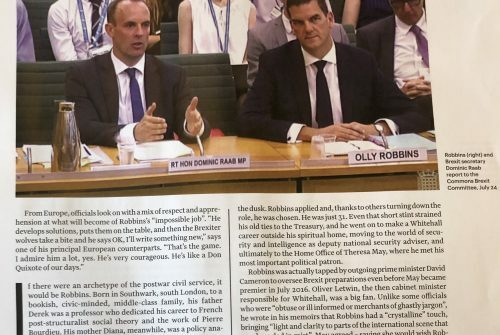 Press: Colfe's mentioned in the FT Magazine as part of an profile on Old Colfeian Olly Robbins and his role in Brexit negotiations. 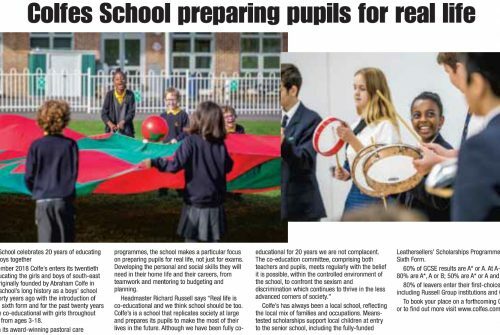 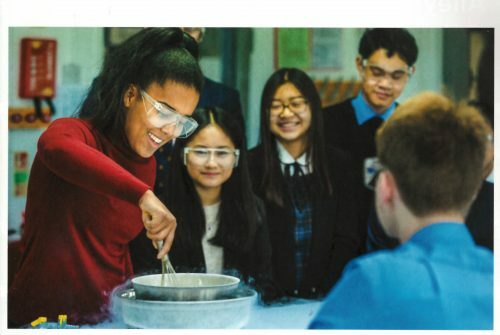 Press: Colfe's featured in Bromley & Beckenham Magazine's 'Independent Schools Guide 2018' in an article discussing the school's twentieth year of teaching boys and girls together.